Big Ben needs restoring as the last extensive repair works took place over 30 years ago. According to the authorities, there are a number of technical problems and a risk of the tower’s failure. The Elizabeth Tower’s fire prevention guidance and safety measures also need improving. "We’ve thought long and hard about the problem for tourists and we absolutely appreciate that but you know, at the end of the day we’ve got to do the work. The work goes on for 3 years, it is a short period of time and after that, it will ring for many tens of years. So far it has been every 30 years, this time we do much more work. So I expect not to need any more attention for at least 60 years after it. It’s worth doing, and I fully appreciate the problem for tourists," Watrobski said in an interview. 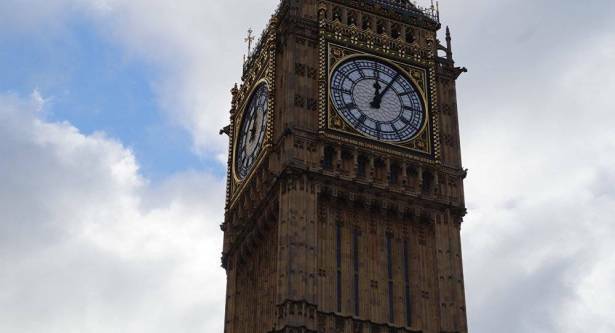 The only option is to disconnect the Big Ben bell during the upcoming restoration works, Watrobski told Sputnik. "When they [restoration workers] are around there, the work in teams, they’ve got to be able to shout to each other… The bells when they ring sound extremely loud, they can’t work with ear protectors on because they can’t talk to each other. That’s one point. The other point is the shock. If you are up there and you forget that it is going to ring and it suddenly rings and you are 90 meters in the air on the scaffolding and the bell rings — it is unacceptable. We have no option but to disconnect the bells but you have to remember that the bells would have been disconnected anyway when the clock is taken apart," Watrobski said in an interview. The Big Ben needs restoration as the last extensive repair works took place over 30 years ago. According to the authorities, there are a number of technical problems and a risk of tower’s failure. The Elizabeth Tower’s fire prevention guidance and safety measures also need improvement. The UK Parliament approved the decision to repair London’s most iconic symbol in 2015. The bell’s hourly chimes will cease completely until 2021, however, it will ring on such occasions as New Year’s Eve and Remembrance Sunday.